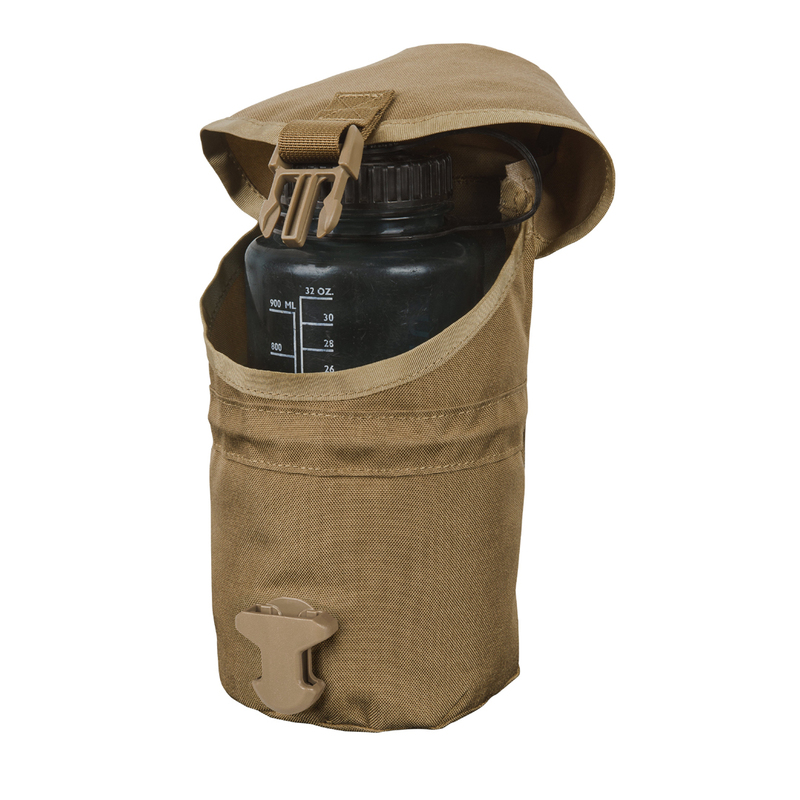 Simple, lightweight pouch designed to hold the most popular water containers such as USGI 1 qt canteen or 1l Nalgene® bottle - with or without cups. 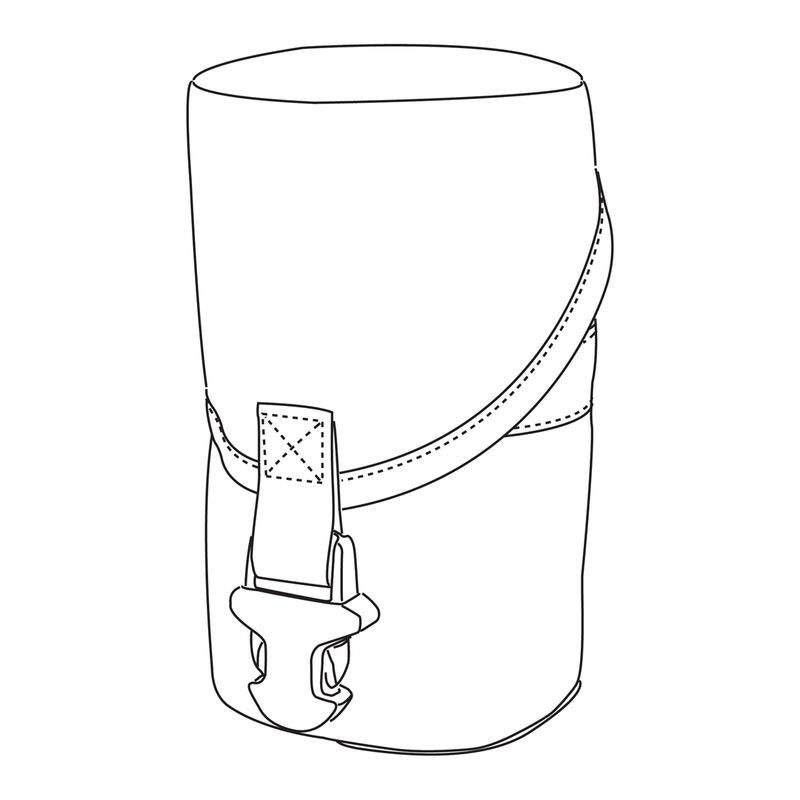 Pouch is adjustable to fit over smaller containers. This is simply the best canteen pouch I've seen or used. 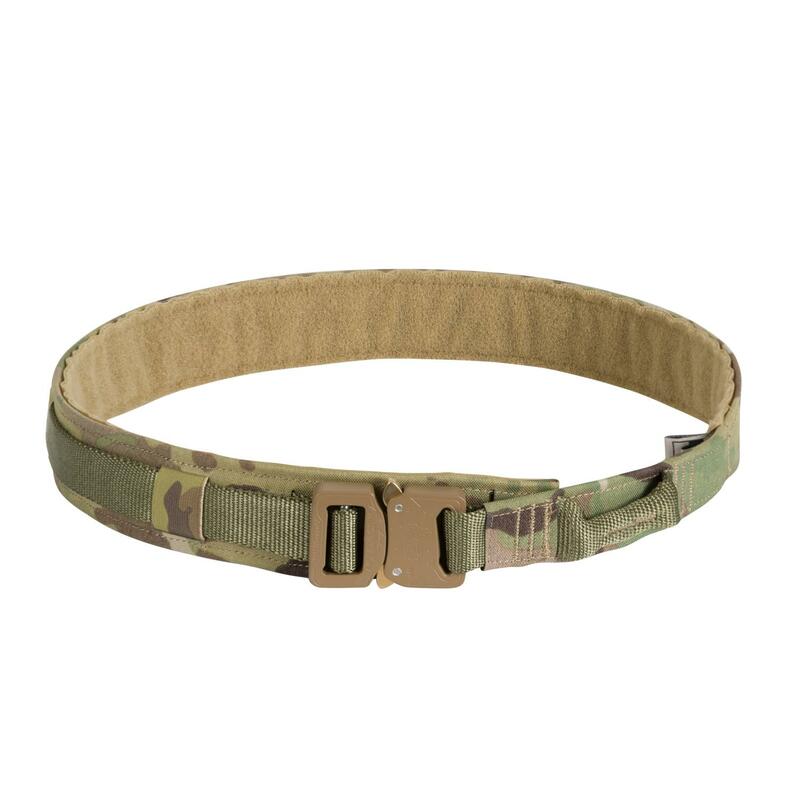 the buckle is easy to close even if mounted in an obscure position. I am also fond of how the pouch only takes up 2 pal slots instead of the standard 3 for canteen pouches. 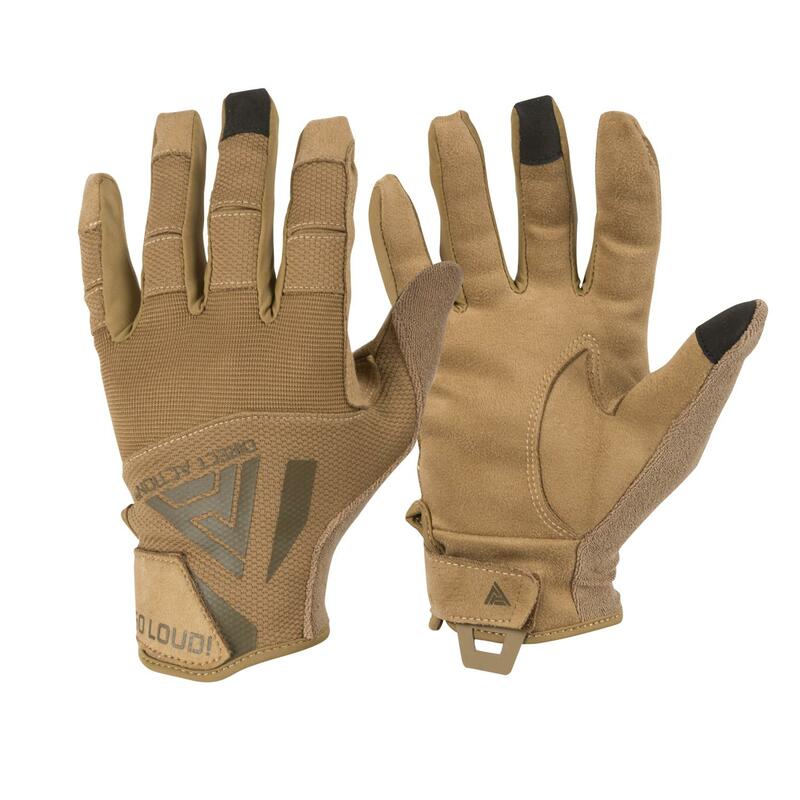 It fits my issued canteen no problem and also has a very nice top flap to keep dirt out. i have no complaints! I needed a secondary hydration holder for my messenger bag. 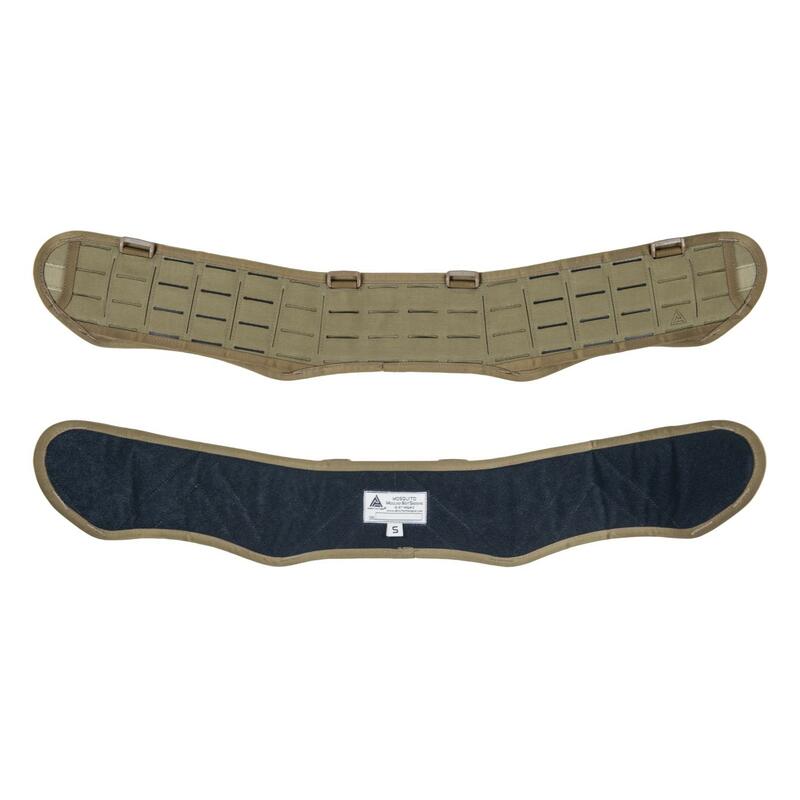 Started with a cheap(er) product from Amazon--nope, shoddy construction made a cheap MOLLE accessory expensive when I tossed it. Came back here & paid a fair price for a quality product. Should have done it in the first place. Lesson: not all MOLLE is the same! 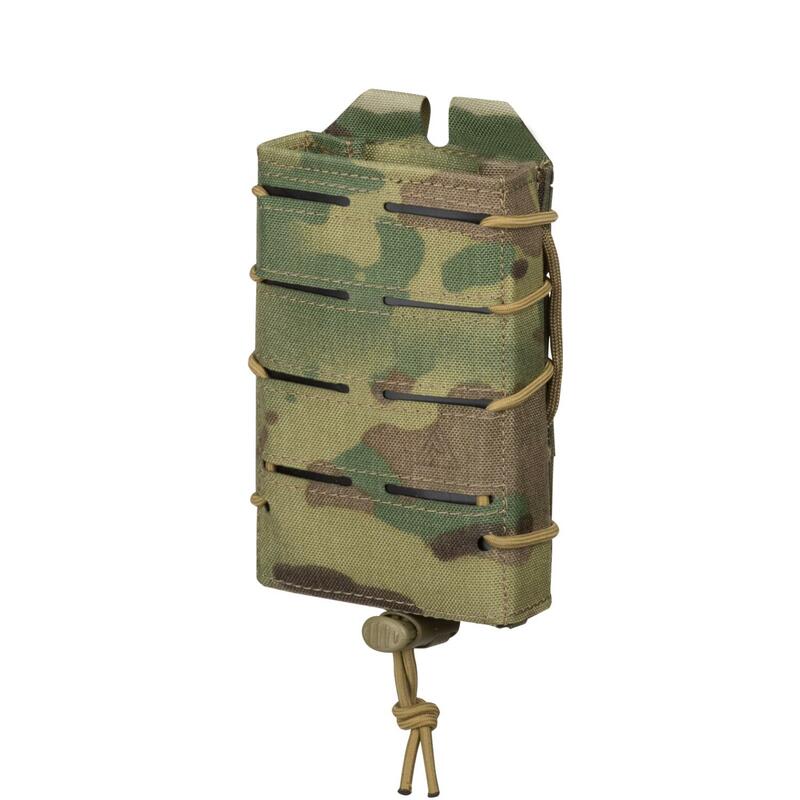 I bought three of the Hydro Utility Pouches for a wilderness survival/hiking based recon webbing kit i'm building. My goal was to carry the Pattern 58 SAS waterbottles/cuos in the DA Hydro pouch. Perfect fit! these are extremely well made pouches. A lot of thought went into the design, and the sewing team did a fantastic job on them. 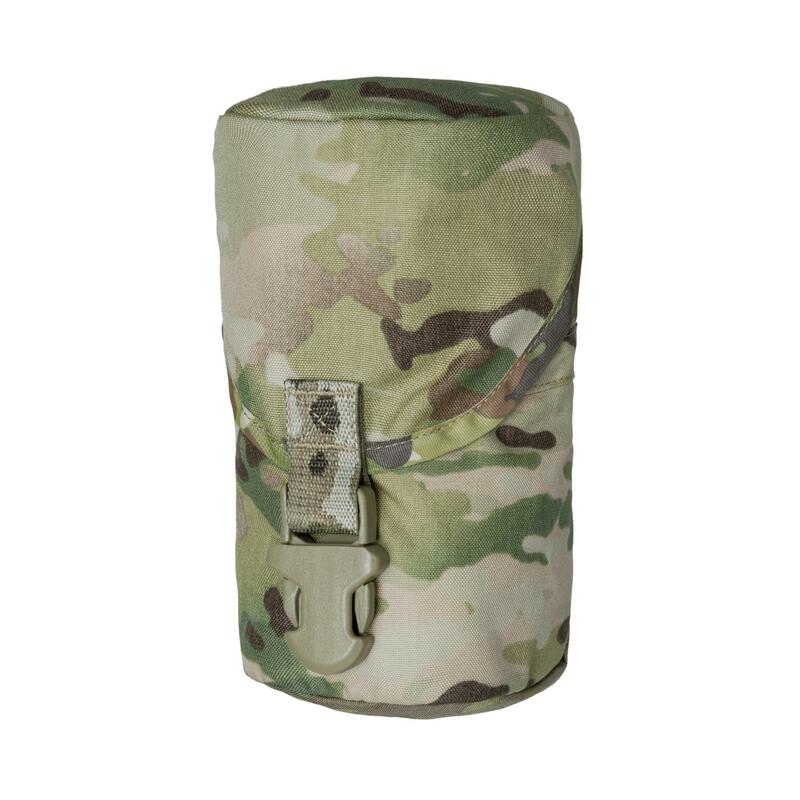 Holds USGI canteens, Nalgene bottles, and even small air pads. Honestly you can put anything that fits inside it. Amazing product, and easy to attach to your bag. My Dragon Egg pack wouldn't have been complete without them! 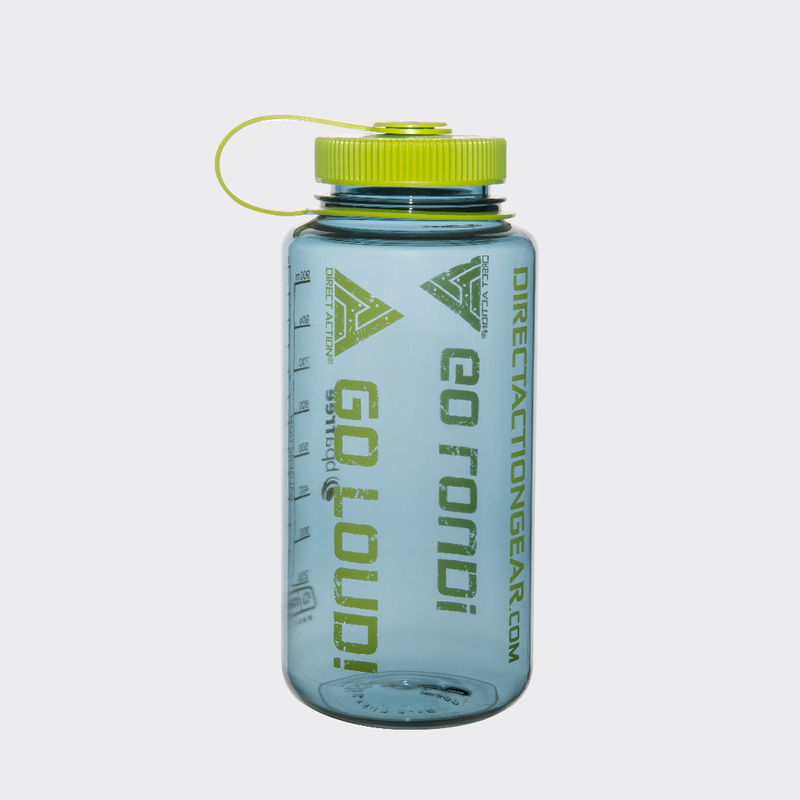 I do A LOT OF hiking and between the internal hydration and the Utility Pouches filled with standard canteens, I'm never in any danger of running out of liquids. 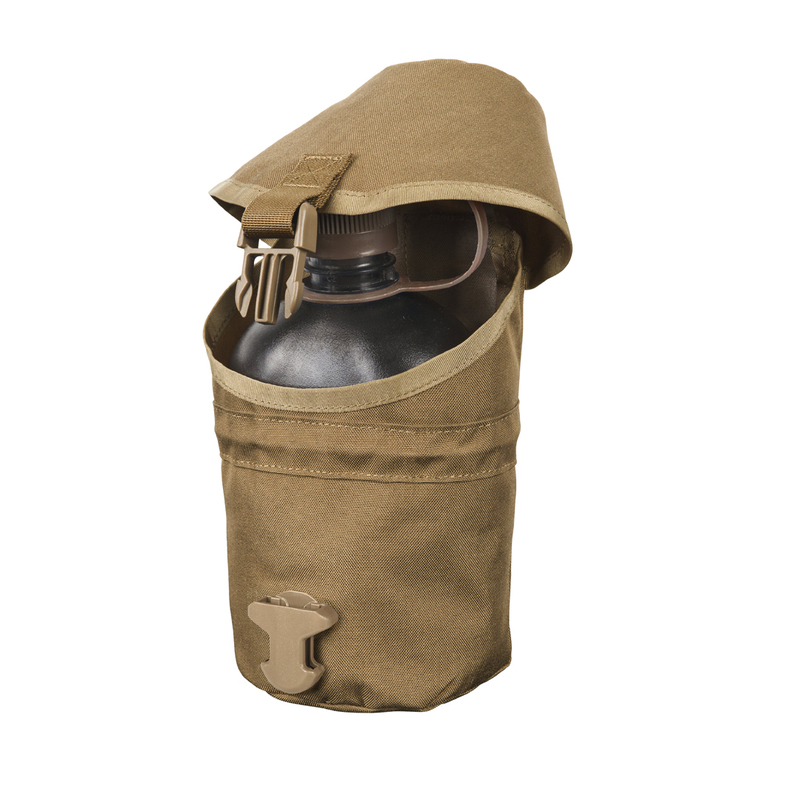 Pouch will fit a standard canteen with cup and stove with no problems. I attached mine to each side of my Dragon Egg backpack. Yes it can fit the growler I own but it won't close obviously. Wont close on my smaller klean kanteen thats a touch over 1L either. But it is obviously designed for Nalgenes. Fits a set of ear defenders in a pinch however.